What Can You Recycle with Kimble? Since 1994, Kimble has provided convenient recycling service to our Eastern Ohio customers. We take pride in contributing to a greener community. Take a minute to learn about our easy recycling program and what we recycle. There is absolutely no sorting needed. Simply place all your recyclables in your Kimble tote and wait for pick up. Larger items such as cardboard boxes and other packaging should be broken down to ensure it fits properly inside the recycling cart. While we try to make our recycling program as easy as possible, there are some things that are not safe to recycle. Find out exactly what we can and cannot recycle below or read our easy recycling guide. Download our Recycling Guide and keep it on your refrigerator or in the garage so you always have a quick list of the items that we can and cannot accept. 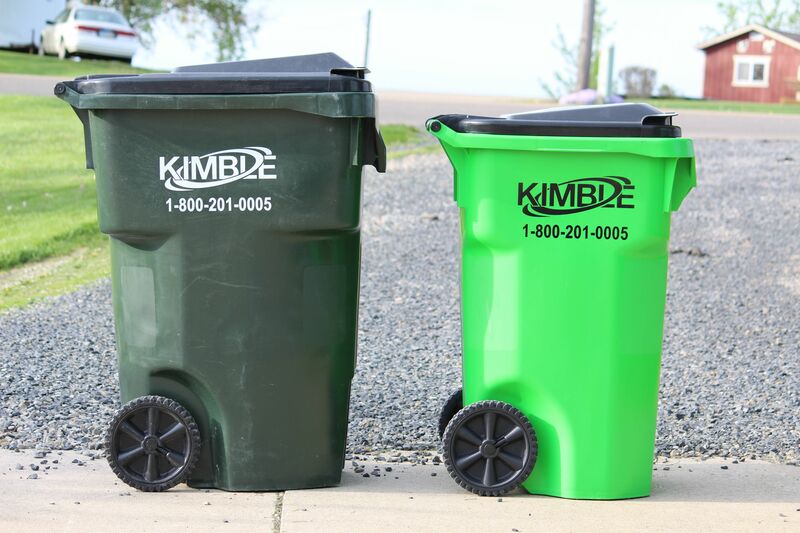 Ready to get started with Kimble Recycling and Disposal? Request service now!